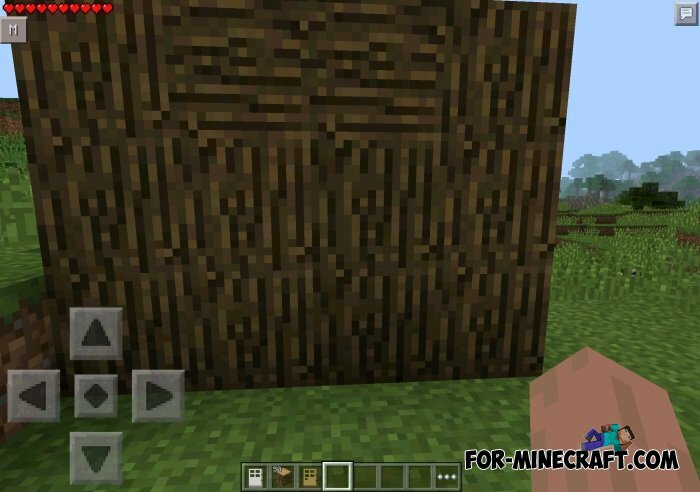 Hidden Doors mod will create hidden communicating doors, which you can masquerade as any blocks in Minecraft PE (almost). The modification adds versatile door, through which you will be able to turn the ordinary into the secret door, which no one would guess. You can mask the usual door under the: bookshelves, stone, brick, ground, any type of wood and to other types of blocks. First we need to choose a normal door and one universal door. Place the normal door to the place where you want to create a hidden door. 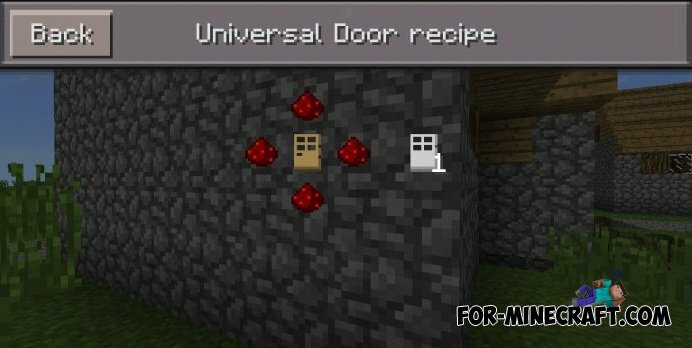 Click on the usual door using the universal door, and then you will see a menu where you can select the type of block for a secret door (all blocks are described above). 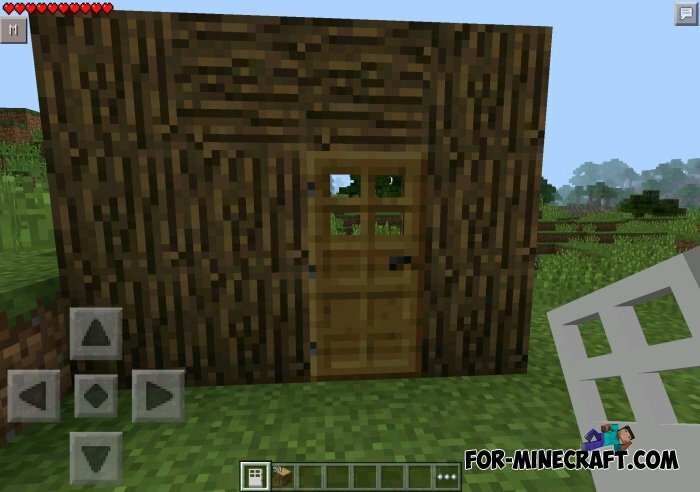 Your normal (standard door) is replaced by the type of block that you have selected and this will be a secret door. Hidden doors do not differ from the usual doors (function). Click on the secret door to open / close the door. SecurityCraft mod for MCPE 0.10.5Everyone ever wanted to protect your home with the help of high-tech gadgets, you can now do it with this mod.